6:20 PM... 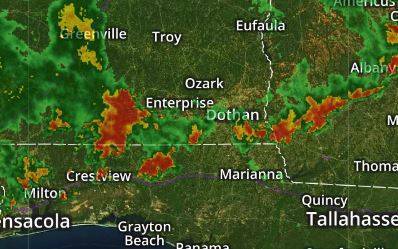 Severe Thunderstorm Warning for Coffee and Geneva Counties :: RickeyStokesNews.com! extending from near Opp to near Florala, moving east at 40 mph.